← World Premiere of Fitzgibbon’s LAND OF NOD at VIENNALE October 29th! 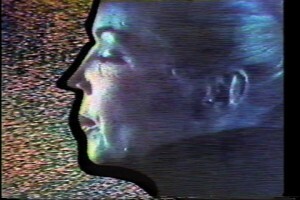 On the occasion of XFR STN, a public archiving exhibition at the New Museum, in September 2013, Colab members Coleen Fitzgibbon and Andrea Callard selected and assembled excerpts of videos originally shown on cable TV as Potato Wolf and produced by Collaborative Projects, Inc. (COLAB) 1978-1985. Colab (Collaborative Projects, Inc.) was a forty plus artists group who worked collectively from 1977-1985 in NYC and who created a large body of collective work, including publications, art exhibitions, live television shows, music, performances and theater.